Churn, trips to Vegas, and high upfront commissions in the life insurance sector, but what about the banking sector? There are calls for the spotlight to be shone on the sales tactics banks use to sell their products, following the Financial Markets Authority releasing a damning report on the level of ‘churn’ in the life insurance sector. The New Zealand Shareholders’ Association (NZSA) is urging a government regulator to investigate the way banks distribute their products, in the same way the FMA has looked at how the commissions New Zealand’s 12 main life insurers pay to the advisers who sell their products, affect consumers. The FMA’s study found that of the top 1100 life insurance advisers, 200 have a high rate of replacement business or ‘churn’. In other words, 200 are likely to be encouraging their clients to chop and change insurers, even if it isn’t in their best interests, so they can earn up-front commissions of up to 200% of their client’s annual premium, or soft commissions like overseas trips. The FMA concludes churn could be seeing New Zealanders overcharged for life insurance, as providers are spending too much on commissions. Consumers could also end up being over or under-insured due to being given poor advice, or could lose benefits they were once insured for. NZSA chairman, John Hawkins, says he would like to see a similar report produced for the banking sector, which is becoming an increasingly dominant provider of financial services like insurance and KiwiSaver. The FMA issued a ‘Strategic Risk Outlook’ report in December 2014, in which it identified churn and banks’ sales tactics as risks it would keep an eye on. However it didn’t do an official investigation and publish the details of its findings, as it’s done with life insurers. As at June 2014, there were around a million active life insurance policies across the country’s 12 main providers. Less than half of these were sold by the authorised financial advisers (AFAs) and registered financial advisers (RFAs) at the heart of the FMA’s study. The rest were sold through direct channels such as banks, or other types of advisers that existed before the Financial Advisers Act came into force. Hawkins acknowledges banks operate differently to insurance companies, so churn may not be as prevalent among them. The FMA also admits that while banks could be mis-selling products, they’re unlikely to be churning policies because they only sell one brand. Yet Hawkins’ concern is: “Many people do not understand that with different types of advisors in these organisations [ie banks], the information supplied will often not acknowledge that there may well be more suitable products available elsewhere. Qualified financial entity (QFEs) advisers, who are often bank tellers, can only sell the products of the ‘QFE’/bank they’re employed by. They can give personalised advice on life insurance, but not as a part of an investment planning service. They only have to disclose how they’re paid if they’re asked. Then there are RFAs. They can give personalised advice on life insurance, but not on more complex products such as KiwiSaver, bonds, shares, managed funds and derivatives. They must register with the Registrar of Financial Service Providers and meet minimum education requirements. RFAs don’t have to disclose how they’re paid. And finally, there are AFAs. They are individually authorised by the FMA to provide personalised advice on most types of financial products and can be licensed to provide investment planning services. They are required to abide by a code of professional conduct, including minimum education requirements. The code includes a requirement to act in the best interest of consumers at all times, and to avoid situations where the interests of the adviser conflict with the interests of the consumer. AFAs have to disclose how they’re paid. He’s concerned people don’t understand how and why this may differ. Banks are growing, but at what cost? Hawkins would also like to see an investigation done around how banks are growing their market share of financial services by offering clients better deals for using more of their products. For example, it is not uncommon for banks to offer lower mortgage rates to clients who join their KiwiSaver schemes. “There is potential for large profits to be made in some areas by giving away a modest profit in others,” Hawkins says. Depending on the structure of payments that are made to bank staff, customers’ best interests could be compromised. “There are a whole bunch of grey areas here that would be very helpful to be addressed by a similar indepth look at what is actually going on and shining a little bit of sunlight on it. Hawkins acknowledges doing solid studies around these sales practices is important in light of the Government reviewing the Financial Advisers Act. He would ultimately like to see the law require clearer lines to be drawn between sales and advice. “If the advice is not to be truly independent advice, but is nevertheless good and useful advice, then that has to be very clearly delineated so that people understand. “If we don’t make a delineation between what is financial advice and what is financial sales, then that will over time do nothing to help the reputation in the capital markets and is likely to put people off if they discover they are getting what they think is advice, which is actually information given to them with other motivations in mind. Hawkins hopes the Minister of Commerce and Consumer Affairs, Paul Goldsmith, will strongly consider the recommendations made by the FMA, as he believes those who read its report would have been “aghast” by its findings. Yet he says the Minister’s response was “extremely disappointing”. Speaking at the Financial Markets Law conference just before the FMA’s paper was publically released, Goldsmith reiterated the fact commissions wouldn’t be banned or capped as is the case in the UK and Australia, and said the review wouldn’t include any major changes to the current system. Hawkins says: “The Minister needs to look at what the best solutions are, not what the easiest solutions are. - During the review period, advisers were offered trips to destinations such as Shanghai, Prague, Las Vegas, Hollywood, Rome, New York and Rio de Janeiro as sales incentives. The high-replacement advisers took an average of two of these trips each, with one taking 10 trips in four years. - The overall number of life insurance policies grew at under 2% each year during its review period. However, in each year life insurers described 11% to 13% of their policies as ‘new’. This shows that many ‘new’ policies were more likely to be replacement policies. - There was a strong link between types of commissions, the end of the clawback period (the period within which an adviser must repay a portion of their commission if the policy is cancelled), and the likelihood of a policy being replaced. Policies with a high upfront commission were more likely to be replaced once the clawback period ended. - The quality of a policy (known in the industry as a ‘product score’) was only a minor factor in whether a policy was replaced. This suggests that some advisers are acting in their own interest, rather than in consumers’ best interests. - On average, the high-replacement advisers earned almost 50% more from commissions on life insurance than other high-volume advisers. - Around half of all advisers earned less than the minimum wage in commissions from life policies in 2014. These advisers may have other sources of income. However, some advisers earned significant income from life insurance commissions. 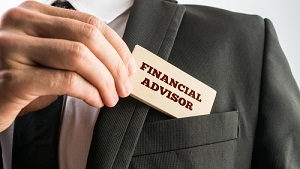 Around 150 advisers (4%) earned at least $200,000 in 2014, and around 70 advisers (2%) earned at least $300,000.